Twenty-two senior Chinese food safety delegates from government, industry and academic sectors arrive in Minnesota this week to conclude a two-week program focused on how nations achieve international food safety standards for protecting public health. The Global Initiative for Food Systems Leadership (GIFSL), a public-private-academic partnership, organized the exchange which has included meetings with international policy experts, visits to food facilities and discussions with food safety leaders from the public and private sectors as well as university experts. GIFSL receives expertise and financial support from the Food and Agricultural Organization of the United Nations (FAO), Cargill, General Mills, Ecolab, the Dutch Food Safety Authority, the University of Minnesota and numerous other partners. 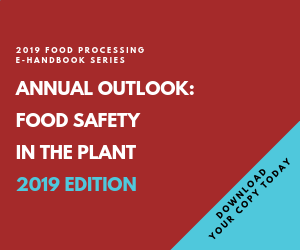 "Everyone in the food supply chain has some responsibility for ensuring food safety," said international food safety expert Will Hueston, GIFSL executive director and professor of veterinary medicine and public health at the University of Minnesota. "It takes a collaborative effort to ensure safety, and that's one of the goals of this project." The group began its intensive program with two days in Rome at the FAO focusing on international food safety standards. It toured a Cargill oilseed crushing facility near Amsterdam and met with Dutch officials and industry representatives, followed by two days in Washington, D.C., with multiple government agencies, industry associations and news media. This scientific and policy exchange program is the second in a five-year program GIFSL has committed to providing for the General Administration of Quality Supervision, Inspections and Quarantine (AQSIQ), a government agency of the People's Republic of China. AQSIQ took the lead in organizing participation from industries, academic and government agencies, which included AQSIQ, Ministry Of Health (MOH), State Food and Drug Administration (SFDA) , State Administration for Industry and Commerce (SAIC), State Administration for Certification and Accreditation (CNCA) and State Administration for Standardization (SAC).